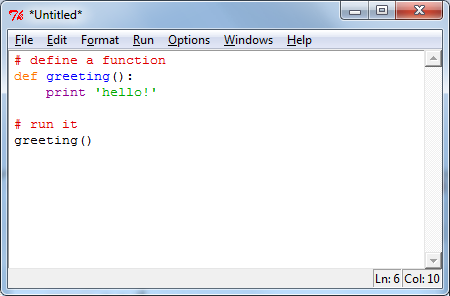 A tutorial about how to use the default Python IDE called IDLE. 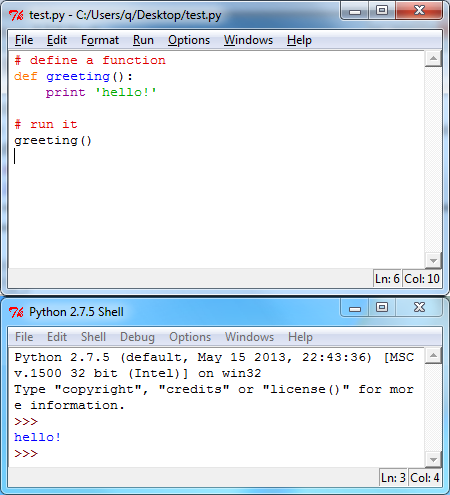 Now our computer knows how to execute Python code, great! 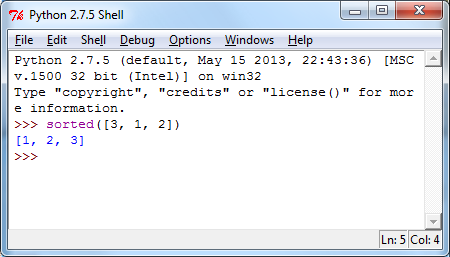 The default graphical development environment for Python is IDLE. IDLE comes with the Python installation, so all we have to do is open it. There are several ways to start IDLE. For example, on Windows we could hit the Start button, go to Programs, then click on Python 2.7 and then select IDLE (Python GUI). Alternatively we can also go to our Python install path and run IDLE manually by double clicking the 'idle.bat' file in C:/Python27/Lib/idlelib or wherever we have installed Python before. 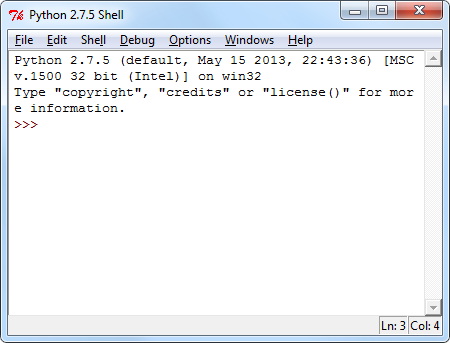 The shell is a very useful utility, it's pretty much like a sandbox where we can try things out quickly. The Python shell allows us to test things without saving files, without building, without linking and without compilation delays. We don't have to use it, but there is a lot of value in it when it comes to testing. 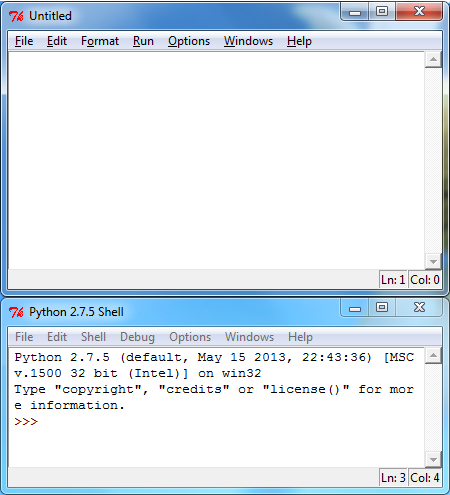 The top window is our new file, and the bottom window is still the Python shell. Now before we can run it, we still have to save it. Therefore we go to File -> Save and save it somewhere as 'test.py'. And that's all there is to it. We just open IDLE, create a new file, put our code in there and run it. 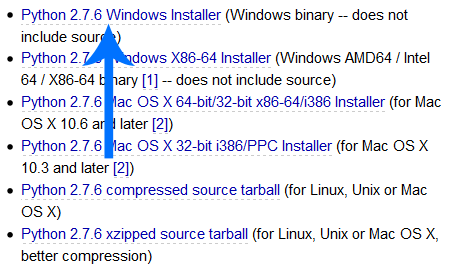 The result always shows up in the shell window.